In New Jersey, when a driver is stopped by law enforcement, investigated for a possible traffic offense of driving while intoxicated and arrested, there are many factors that will go into a conviction or acquittal. From the time the investigation begins, there are certain procedures that the law enforcement officer must follow in order to make the evidence accrued valid. Drivers who are aware of these rules – whether or not they’ve been drinking – will have a better chance of having the charges dropped or gaining an acquittal if the case goes to trial. In some instances, a person charged with DWI might believe that they have no chance of avoiding a conviction and, to keep from having to pay an attorney for a defense, will simply plead guilty and move forward. This is always a mistake. When a traffic stop is made to investigate a DWI, there must be probable cause. That means that the officer cannot simply stop a vehicle because he or she feels like it. If the vehicle goes through a stop sign, is swerving in and out of traffic, driving on the shoulder of the road or doing any number of other suspicious or illegal things, then the officer is able to make the stop and investigate. When the officer speaks to the driver, signs of intoxication will be watched for. These will include slurred words when speaking, the smell of alcohol and glassy eyes. After it has been established that there might be a DWI in progress, the officer will then have the driver partake in field sobriety tests such as the Walk and Turn test and the One-Leg Stand test. Then there will be the breath tests. It is important to pay attention to the process of the officer giving the breathalyzer test because there are many instances that a mistake can be made that could lead to the evidence being found as inadmissible. Before giving a breath test, the officer must observe the driver for 20 uninterrupted minutes. This is to make certain that the driver doesn’t do anything that would compromise the reliability of the test results. This can include regurgitating, smoking a cigarette and chewing gum. If the officer adhere to the 20 minute rule, the breath test could be excluded from the evidence. The officer is required to be certified to give the breath test. When the defense attorney requests the information during discovery and finds that the officer was not certified at the time of the test, this could mean that the results are not allowed to be presented as evidence. This could have happened as part of a mistake or a lapse on the part of the officer in not maintaining the certification, but the reason for it doesn’t matter. The important part is that the officer was not certified during the DWI arrest. The breathalyzer machine must be properly calibrated in order for it to be deemed as an accurate gauge of the amount of alcohol in the suspect’s blood. For a DWI arrest to be made, the BAC for a driver age 21 or over must be 0.08% or above. If there is any confusion about the test’s accuracy, then it could benefit the defendant. Another important factor in the BAC testing is the level and how it pertains to the charges. If the BAC registers 0.10% or above, the penalties are worse than they are if they are from 0.08% and below 0.10%. Even if the driver was over the limit, it might not have been over the limit to the degree that the charges should be increased. The mouthpiece on the breathalyzer machine might not sound as if it is an important part of the test, but it is. It is required that a new mouthpiece be placed on the machine each time it is used. In the event that the officer uses the same mouthpiece both times the driver must be tested to make an arrest, the second time might have contamination that will influence test results. Blood tests are also used to determine a driver’s BAC. If the breath test machine is malfunctioning, if there was an accident or if there is the possibility that the driver was using narcotics instead of alcohol, a blood test might be the only way to get a reading. The blood will be taken by a medical professional and these records can be requested by the defense attorney to look for mistakes. It’s not uncommon for labs to mix up results and if that is the case in a DWI case, the driver might have a chance to be acquitted. A driver who understands these rules will think twice about “getting the case over with” by pleading guilty and will hire a DWI attorney to try and get a positive result in the trial or have the charges reduced or dismissed beforehand. 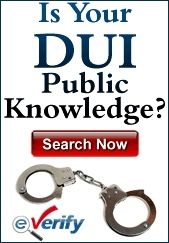 DWI penalties can be very severe in the Garden State. To best protect yourself you will need a well planned defense strategy. Here are some articles to help you start thinking about the possible options that might be available to your case. The government will be prosecuting you to the best of their ability so you should prepare yourself for this. An experienced DWI lawyer will know be able to match your situation with the best defense options to give you the highest chance of success.